Many bloggers and business owners don’t have a mailing list, usually because they don’t understand the importance of it. The truth is, a mailing list will have a huge impact on your business, all you have to do is get one started. Before you do that though, there are a few important factors to think about. It’s not enough to know that you should have a mailing list, you should also know why. If you’re feeling clueless, here are a few questions to ask yourself. Email lists have been around for years, but are quickly gaining popularity because of the many benefits they offer. Every time someone chooses to give you their name and email address it is a sign that they are interested in your work, and it’s also a sign that they trust you. What you decide to do with that information is up to you, but know that email marketing is an effective tool you shouldn’t take lightly. Not many people know how to set up email lists or even know the importance of them which is why I recommend you go and check out this email marketing guide for beginners for tips and further information. While there are many benefits to starting a mailing list, consider these top three. You own your mailing list. Besides a self-hosted website, your mailing list is the only thing you have complete control over online. You own it, and get to decide what to do with it, unlike many social platforms such as Facebook or YouTube. If you manage to grow a huge following on Facebook, Instagram, Twitter, or any other social media platform, that site could one day go away, or people could quickly lose interest in it. Like back in the day when people had thousands of followers on MySpace, which is definitely not nearly as popular as it was a decade ago. All of those followers won’t matter in the long run, but if you collect your audience’s email addresses, you can stay connected long after trends come and go. Emails are here to stay. On top of that, you have complete control over what you want to share with your email list. There are no rules, guidelines or filters that tell you what you can or can’t send. It’s an easier way to stay in touch. Sending someone an email is much more personal. There are no ranking systems, no limits, or search engines to get around. You just send it directly to your list. Having their email makes it much more easier to stay in touch over the years, and allows you a consistent way to share your content. It also makes it easier for your audience to contact you. When someone signs up to your mailing list it’s because they’ve already shown interested in what you have to offer. That makes your mailing list much more targeted. You know that whenever you send out an email, you’re only sending it to people who want it. Since mailing lists are already targeted, they’re more likely to engage. They’ll be the first ones to buy a product, sign up for a service, enter a giveaway or join a challenge. Why Do You Want to Start a Mailing List? Next, you should have a good understanding of why you want to start a mailing list. In most cases, it’s to take advantage of the many benefits they offer! But ideally, you should know why. 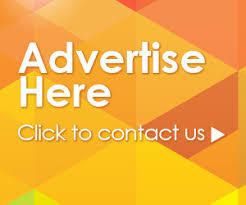 Do you want a way to promote your products or services? Do you just want a way to stay in touch? Do you want to run an email campaign? There has to be a reason behind it. How Often Do You Plan to Send out an Email? Adding a mailing list to your already busy schedule is a task that shouldn’t be taken lightly. It’s a huge undertaking that involves a lot of work! So, the next important factor you should think about is how often you plan to send out your email newsletter. This will determine how much time you will need to set aside to work on it. Many companies choose to send out a newsletter once a week, except for when they’re running a campaign, in which case they will send 2-3 emails a week. And this works for a lot of people. Some companies try to send emails out every day. In most cases, this isn’t necessary. A lot of email subscribers don’t want content sent to them every day, which just fills their inbox and leads to subscriber fatigue. Of course, you can choose to send one monthly, bi-weekly, or quarterly. It all depends on your business, your time and resources, and what your subscribers want, but it is an important factor to think over. There has to be a reason to your email list. Some bloggers choose to share their latest blog posts in their newsletter. Companies often promote upcoming sales, new product launches and contests. Influencers might choose to share fun facts, useful tips, or even industry news and trends. What will you put in your newsletter? What will your subscribers want you to put in your newsletter? This is an important factor you should figure out before you get started. What Email Service Will You Use? Constant Contact allows you to manage your subscribers and create personalized emails using templates and easy drag and drop editing tools. You can try it for free for 60 days, but after that plans start at $20/month. MailChimp is another popular choice, because it’s great for beginners. It’s easy to use and has a free plan for up to 2,000 subscribers. Paid plans start at $10/month. AWeber offers a variety of tools including autoresponders, easy sign up forms, and more. They also offer live customer support 7 days a week. Plans start at $19/month after a free 30 day trial. ConverKit is a bit more advanced and offers more features, but is still a popular choice for people who are just starting out. Plans start at $29/month. How Will You Promote Your Mailing List? A mailing list only works if people actually sign up for it. If you really want to take advantage of this great marketing tool, you need to figure out how you’re going to promote your newsletter and get people to sign up. You can add mailing list opt-in forms to your website, in your blog posts, on your Facebook page, and more. Consider the places you can promote your mailing list and be sure to add it right away. What Lead Magnets Can You Create? A lot of the time people want a reason to sign up for a mailing list. To do this, a lot of companies choose to offer them something in return. This can be a free ebook, a discount code, as part of a giveaway and more. What lead magnets will you create to encourage people to sign up for your mailing list? It should align with your organisation’s content and values.